The White House said it was aware of the reported al Qaeda threats and mindful of increased risk of attacks during events such as Election Day. 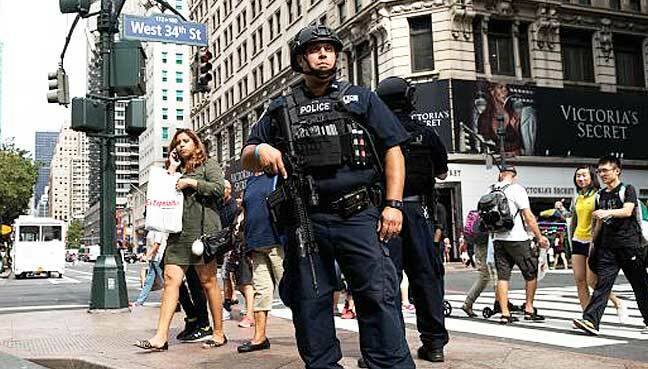 NEW YORK: Federal officials have warned authorities in New York City, Texas and Virginia about an unspecific threat of attacks by al Qaeda militants around Election Day, putting local law enforcement on alert days before the vote, officials said on Friday. The Port Authority of New York and New Jersey, which operates airports, tunnels and bridges around New York City, continues high levels of patrol it has had in place, spokesman Steve Coleman said. Coleman declined to offer details on the warning, but the New York City Police Department said the threat report lacked specifics and was still being assessed. “We are aware of the information,” the department said in a statement, adding that it was working with intelligence agencies and the Joint Terrorism Task Force. Although some of the attention of U.S. authorities has shifted to Islamic State-inspired attacks, the al Qaeda network has shown resilience more than 15 years after it was responsible for the Sept. 11 attacks on New York and the Pentagon. Last month, the United States carried out strikes in Afghanistan targeting two of al Qaeda’s senior leaders there, and al Qaeda’s Yemen branch has posed a risk to merchant ships in waterways nearby. U.S. intelligence agencies still view al Qaeda and its affiliates as a top counter terrorism priority. The task force issued a notice identifying the three states as possible targets of an al Qaeda plot, a New York law enforcement official said on condition of anonymity. The official said the type of threat was common but authorities were giving it more attention because of Tuesday’s election. CBS News first reported the threat of attacks, which it said were possible on Monday. Authorities were assessing whether there was a plot and whether the states named were real targets or misdirection. “Another possibility is that this is just an attempt to inspire someone here to mount an attack,” the official said. The Federal Bureau of Investigation and the Department of Homeland Security did not confirm the reports or comment on details. In Washington, a Homeland Security official said authorities remained concerned that so-called “homegrown” militants could be inspired to attack within the United States. “The public should expect to continue to observe an increased law enforcement and security presence across communities in public places,” the official told Reuters. The potential for violence related to the election has already darkened a rancorous presidential race between Democrat Hillary Clinton and Republican Donald Trump, on top of the threat of computer hacking and fears that Russia or other state actors could spread political misinformation online or tamper with voting. While federal and state authorities are beefing up cyber defenses against electronic threats to voting systems, others are taking additional steps to guard against possible civil unrest or violence.